"Anne Therese Aesthetic Medicine is absolutely amazing! Ive had 2 emsculpt treatments, and I’ve already noticed a difference in my abs. Looking forward to the next 2 treatments!" DO YOU WANT MORE FROM YOUR WORKOUT? 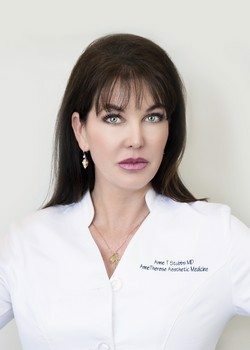 The Anne Therese Aesthetic Medicine team is led by Dr. Anne Therese Stubbs, a board-certified physician who has dedicated her career to exploring, understanding and perfecting minimally invasive cosmetic procedures. Her practices in Ohio focus on providing top quality aesthetic treatments designed to help every client look and feel their best. Each procedure and product offered is minimally or non-invasive, ensuring comfort, convenience and safety alongside undeniably beautiful results. Anne Therese Aesthetic Medicine is equipped to treat all of your anti-aging, skin care and body sculpting concerns. 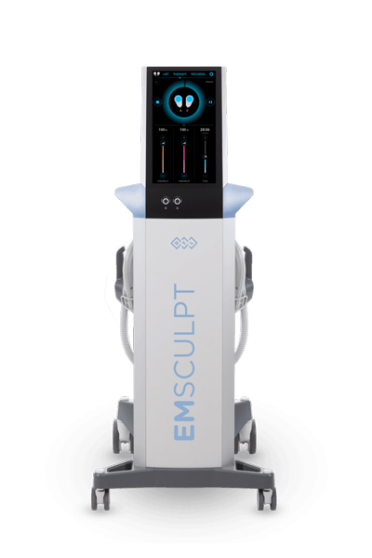 Now, we’re excited to announce an addition to our lineup of services: EMSCULPT, an all-new approach to non-invasive body contouring that targets both fat and muscle. Learn more about EMSCULPT and our other minimally invasive aesthetic solutions — schedule your consultation with Dr. Anne Therese today in Gahanna or Lewis Center, Ohio. 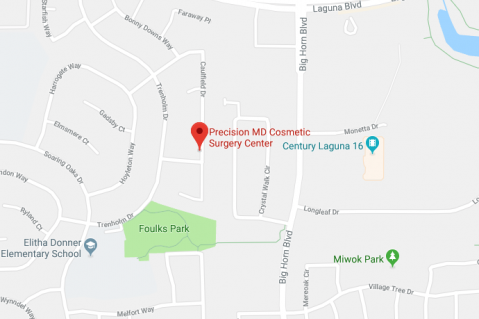 Aesthetics company BTL has been on the cutting edge of non-invasive treatments for 25 years, and their newest device -- EMSCULPT -- is their latest breakthrough. It’s the first body contouring treatment that addresses both stubborn fat and tough-to-build muscle. In clinical studies, the device was shown to reduce body fat by up to 19% and build muscle mass by up to 16%, all without requiring clients to work out or even break a sweat. EMSCULPT boasts a 95% client satisfaction rate -- find out how it can work for you by scheduling your consultation in Gahanna or Lewis Center, Ohio today. The science behind EMSCULPT is a technology called high-intensity focused electromagnetic (HIFEM) energy. The EMSCULPT device sends pulses of HIFEM energy into your abdominal and gluteus muscles, where it triggers intense muscle contractions that a normal workout can’t replicate. Each 30-minute session works your abs or buttocks more than exercises like crunches or squats for targeted, intensive fat burning and muscle toning results. Since EMSCULPT is completely non-invasive, you’ll be able to leave your treatment session and resume all normal activities right away. Best results are typically visible after four treatments per area, but clients note that they can start to feel and see a difference in their body after just one treatment.